Dr Thomas Farmer is leader of the Clean Synthesis Technology Platform in the University of York’s Green Chemistry Centre of Excellence (GCCE). Tom completed his PhD at the University of York in 2008, under the supervision of Professor James Clark and Dr Duncan Macquarrie. His project looked at the utilisation of biomass derived building-block chemicals (“bio-platform molecules”) for the production of higher value chemicals and materials, specifically focusing on generating water-soluble polymers for use in Home and Personal Care products. Following his PhD Tom joined Unilever PLC as Polymer Scientist, working at the Home and Personal Care Research and Development Site at Port Sunlight, Liverpool. After a year at Port Sunlight Tom joined Professor Chris Rayner’s and Dr Richard Blackburn’s groups at the University of Leeds, working as a Post-doctoral Research Assistant on the extraction and formulation of Hair and Skin care agents from Shetland Isles seaweed. 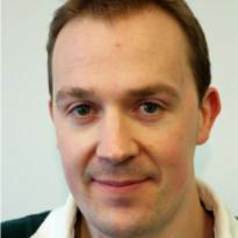 In January 2011 Tom re-joined the Green Chemistry Centre of Excellence as a Post-Doctoral Research Fellow investigating the application of various clean synthetic techniques for the conversion of bio-platform molecules to monomers for polyester formation. At the end of 2012 Tom took up at position as a Senior Researcher and Teaching Fellow with the GCCE, a role that involves tutoring on the successful MSc in Green Chemistry & Sustainable Industrial Technology course, along with involvement in several research projects. Tom’s current major research projects include the FP7 funded KBBPPS and Open-Bio which seek to promote the bio-based economy through development of standard test methods, certification and labelling of bio-based content, and as a co-investigator on large EPSRC project (Sustainable Polymers, EP/L017393/1) studying the formation of various polymer classes using bio-derived platform molecules and waste carbon dioxide. Research interests: Clean synthesis, heterogeneous catalysis, sustainable chemicals, bio-content analysis, microwave chemistry, polymer chemistry, alternative solvents, mixed-metal catalysis, valorisation of waste.